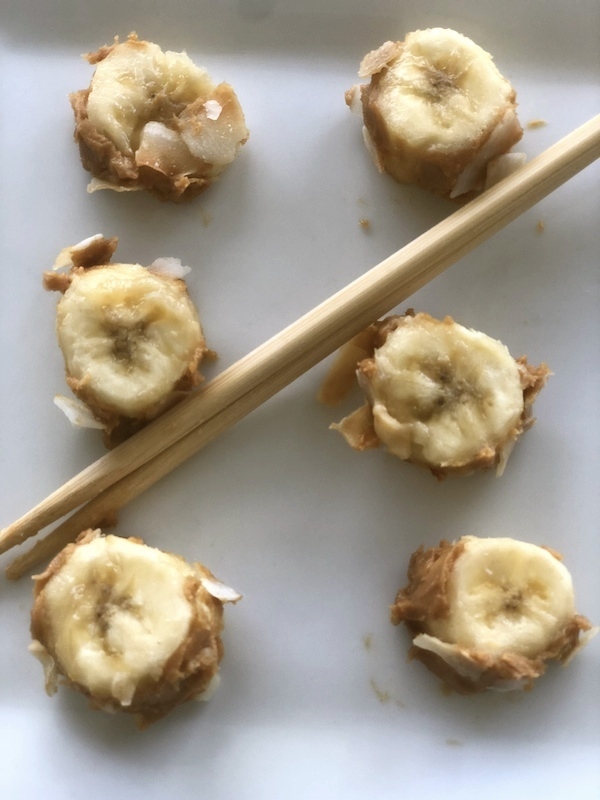 Healthy Banana Sushi Rolls are great snacks for kids and adults. I cannot think of an easier way to make a healthy snack at home. It only takes a few minutes and you can use your favorite nut butter and toppings. 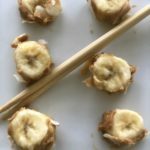 My kids LOVE these little sweet banana rolls and they even love them more if they eat them with their kid-friendly animal chopsticks. 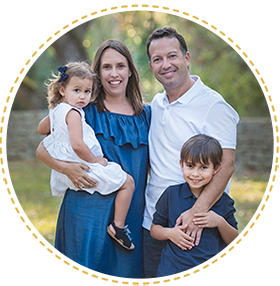 The entire family can also be involved in the process, making it a super fun activity. I guarantee you that everyone will love making these sushi rolls, and eating them too! Creative and healthy fun food is always great. 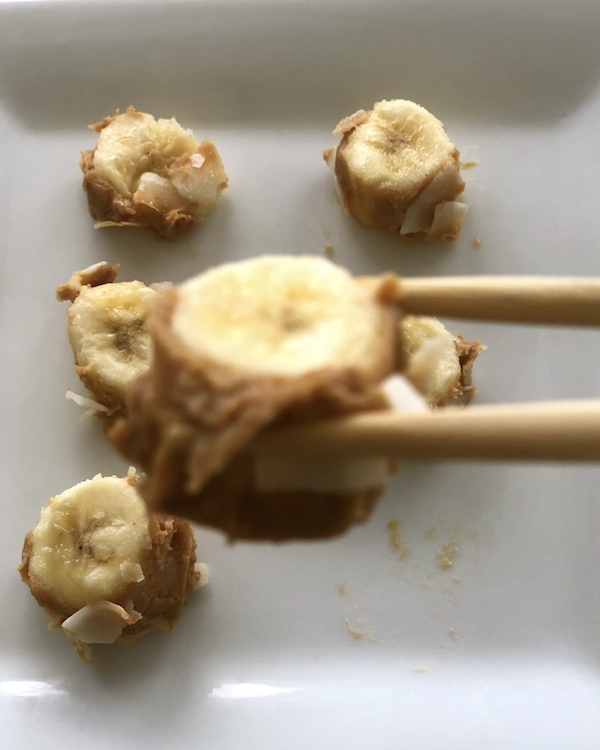 You only need three ingredients for your healthy banana sushi. Try different flavors and combinations like your favorite nut butter, coconut flakes, almonds, granola, or chocolate chips. Have lots of fun eating fruit sushi! You can eat your healthy banana sushi rolls for dessert, snack, breakfast, or even at a party. 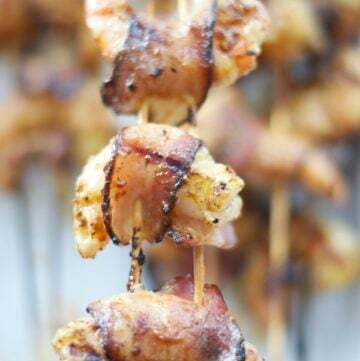 Impress your guests with a healthy, creative, and super easy to make recipe. I love my banana rolls with almond butter and granola for breakfast. 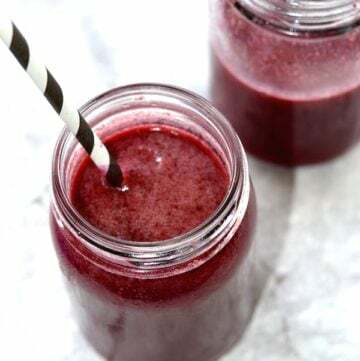 They are the perfect way to start your day with the right kind of foods and full of energy. I am in love with this creative idea that so easy to make and perfect even for breakfast! Do you have any other sushi dessert ideas? If you do, please share them with me. I am always looking for creative and healthy recipes. 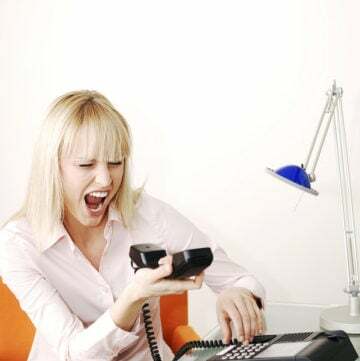 Please, just leave a comment below and I will be glad to share your ideas on my page.